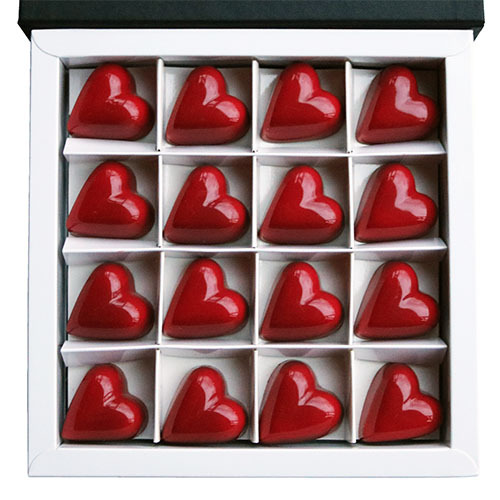 These beautiful heart shaped chocolates are filled with our award winning salted caramel layered over a super smooth gianduja of roasted hazelnuts and rich chocolate. 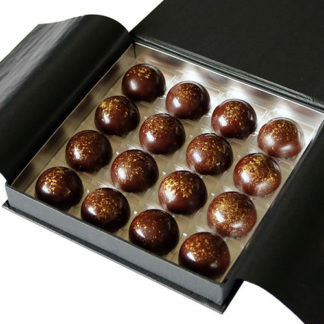 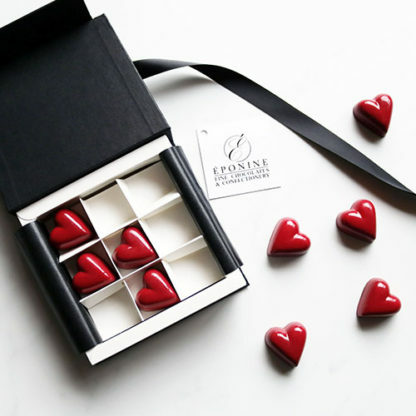 Each chocolate is hand painted in a gorgeous deep red – the perfect expression of love. 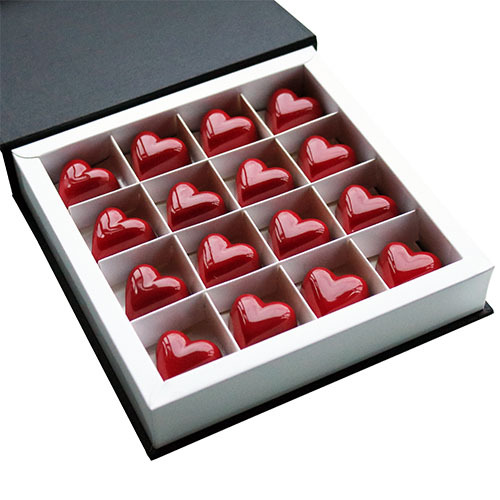 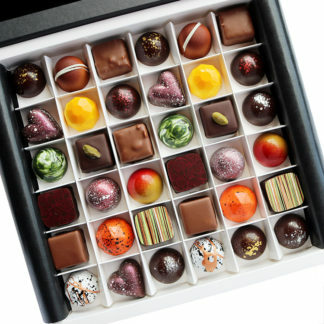 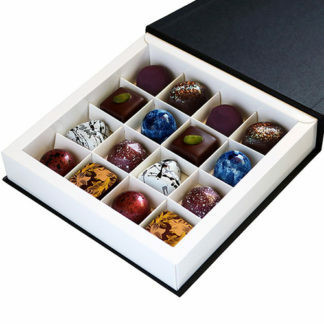 Presented in a beautiful hinged box with magnetic closure, finished with a black satin ribbon and tag, these gourmet chocolates make a memorable gift for someone you love.